Available in different sizes and made to order. What brand can I trust? Where can I get the best advice? What is the best value? 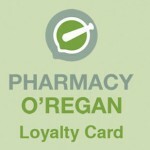 Stop worrying, Pharmacy O’Regan is here to help. From nappy rash to colic, from teething to pain relief, Pharmacy O’Regan is your one-stop-shop for all your baby care needs. We’ll have you smiling in no time….